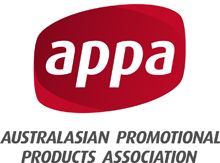 Promotional products and merchandise in Australia sorted by state, city and region. Vivid Promotions is your number 1 promotional products reseller in Australia! With over 11,000 Promotional Products on offer, we can cater to a wide range of events, themes, budgets and deadlines. Whether you’re on the Sunshine Coast, in Brisbane, Cairns, Gold Coast, Toowoomba, Ipswich, Rockhampton, Mackay or Townsville, we can provide all of Queensland with premium merchandise items that will leave a lasting impression. Decorate your promotional products with your company logo and match the item to your corporate colours. By handing out free promotional gifts, clients will remember your brand and associate your business with great customer service and most importantly, will remember who you are! Advertising for your business is important and Vivid Promotions is here to help! By servicing the whole of Australia, we get to work with our main customer bases in Sydney and Melbourne, along with businesses in Adelaide and Perth. From the main capital cities to small country towns, we can deliver your goods to any and every address! (excluding PO boxes). Ensure your brand reaches far and wide and invest in some practical and handy promotional products today! We have products from Drink Bottles, Confectionery, Uniforms, Frisbees, Caps and Hats, Tote Bags, Pens, Keyrings, First Aid Kits, Mobile Accessories, Napkins, Camping Chairs, Eco Products, Business Cards and much, much more! Contact us today on 1300 72 70 92 for more information and a custom quote.